RSVP is now open for the 2019 FREE BV Day Parties! 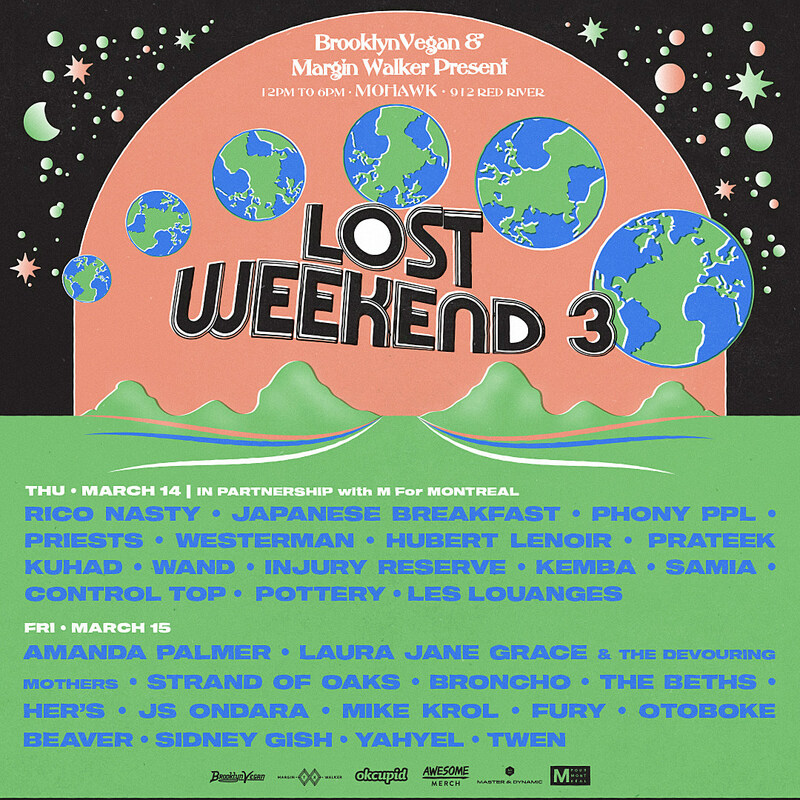 For the third year in a row, we’ve teamed up with Margin Walker for our annual series of SXSW day shows — now dubbed Lost Weekend. And for the first time, they’re taking place at Mohawk (at 10th & Red River, right next door to Cheer Up Charlies where we were for many years in a row). We’ll miss Cheer Ups, but we’re excited for this new chapter at one of Austin’s greatest music venues. Come see us Thursday & Friday, March 14-15, 2019. Noon-6pm each day. 2-stage lineups will be announed soon, but meanwhile RSVP so we know you’re coming, AND for a chance TO WIN a pair of Master & Dynamic MW50+ 2-In-1 Wireless On-Ear + Over-Ear Headphones (a $399 value! ), AND for a chance to win exclusive Lost Weekend merch items courtesy of AWESOME MERCH. M For Montreal will again be joining us on day one, and make sure you’re a member of OkCupid before you get inside. They’ll be giving out free drinks to members with the app installed. We also have an official SXSW showcase on Saturday 3/16.